d´Herode, K.V.U Gruppe Bessin, K.V.Gr Bayeux. 1/916 I.R. 352nd Inf. Div. 1 x R677 (under construction). 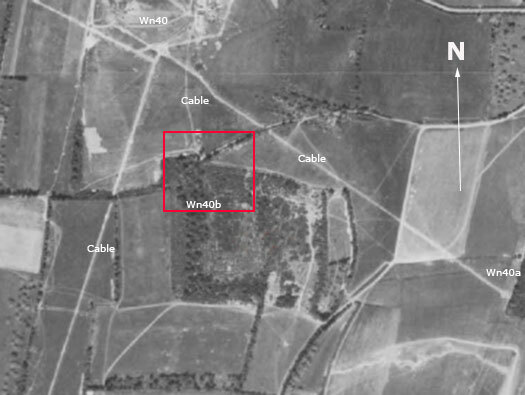 Air photo dated 4th June 1944 just two days before D-Day, the three Wn's of the Wn40 group. Wn40 is the main defence. 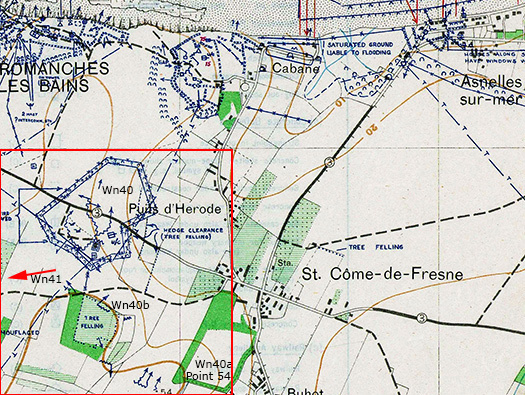 The German plan of Wn's in the area, Wn40 is on the plan but the smaller a & b were being made by the new 352nd Inf. Div. 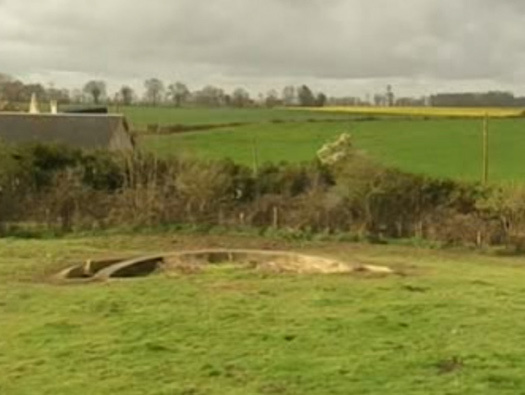 that had moved into the area just before D-Day and were frantically digging in. The group of Wn's and the white lines their field telephone cables. Wn40a a section position Time Team found an M.G.34 position several trenches, dugouts and a field position for a 7.5cm Pak. They would also have had a radio but relied more on field telephone as it was more secure but was liable too the cables being broken. A piece of armoured cable I liberated from a French field. Signals Lines men repairing cables. This is a plan from Time Team Special 17 (2004) dig of the area and they found field bunkers, trenches and a field position for a 7.5cm Pak. 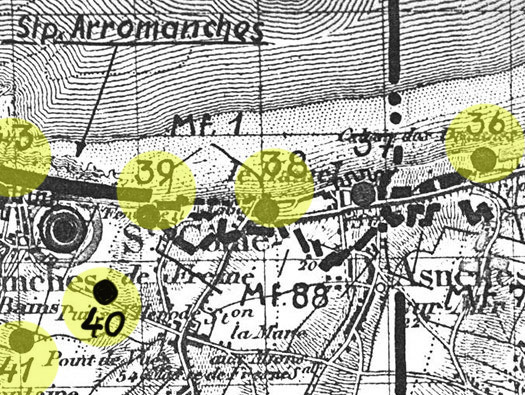 'A' Company Dorset's attacked across an open field unknown to them that there was a hastily built defence by the new 352nd Inf. Div. just brought into the area to boost the 917th Div. 'D' company, in fact two very brave men ran up the track and using fire and manoeuvre tactics and a few hand grenades took out the position. Several Germans were killed and two officers and 15 soldiers taken prisoner. 2 Officers and Seven German soldiers killed and 15 captured. Point 54 is to the right and Wn40a by the red tractor. The attack started behind the wood and faltered until two Dorsets ran up the track using fire and manoeuvre and took the point. 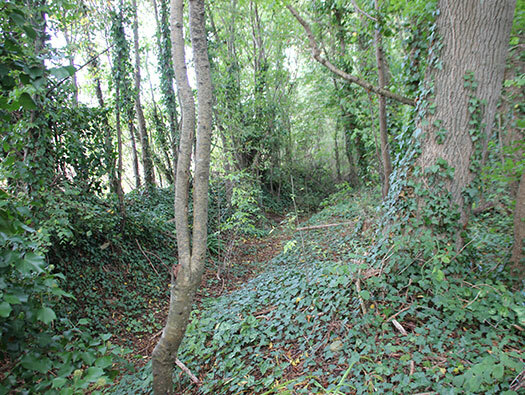 In the corner of the woodland is an old windmill not mentioned in any of the reports..
A trench running down the western side of the hedge parallel to the track. 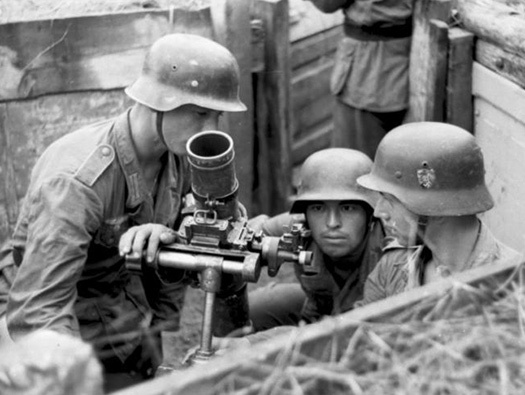 I think the position of the 7.5cm anti-tank gun. "Stone the Crow's That is a mean bit of wire. That don´t look agricultural to me" Phil Harding, bless his socks. Found at Point 54 Wn40a. This is Wn40b looking due south. 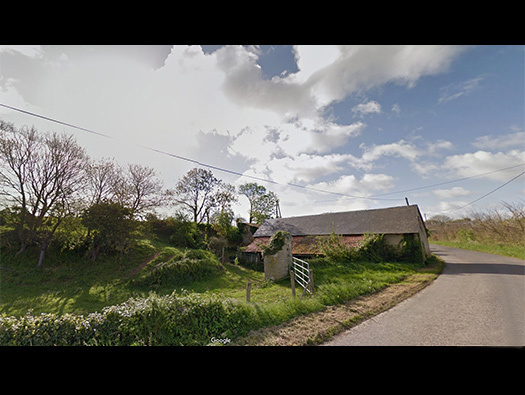 This is Wn40b It was possibly was only a section position and a couple of machine guns and mortar. A small buried extra cable looks as though it was added later than the main cable trenches. Time Team found trenches and dugouts here. 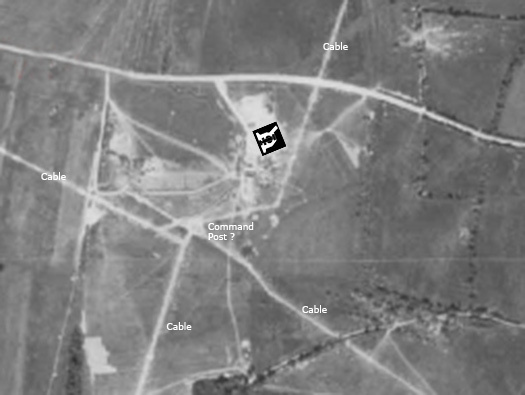 A close up of Wn40 showing where the R677 (Bw.Nr.484 building number) was being built. It was to be made in Bauform (Breeze block) and steel reinforcement. Filled in with concrete. The foundations remain and time Team unearthed them. The white strait lines are cables for the field telephone system connecting the area with an extra smaller cable to Wn40b due South. 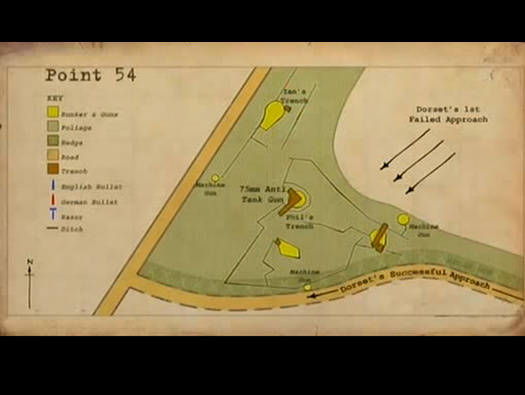 Screen grab of the plan of a bunker Time Team found. They thought it could have been a command post but construction was halted due to D-Day. 8.8cm Pak 43/41 inside an R677. But here only the foundations had been started.. The inner and outer wall has been built at Wn32 Batterie Vera. The steel reinforcement would have been added and then cement poured in the gap.. This is a screen grab from Google Maps on the D65 looking North East towards Gold Beach and the main defences on the beach. Mortars in Wn40 could drop their mortar bombs very accurately on any troops advancing and the 8.8cm A/T gun could take out any tanks attacking up this important valley running from L to R. to the advance inland. Plate 10: Wessex Archaeology the foundations of the R611. 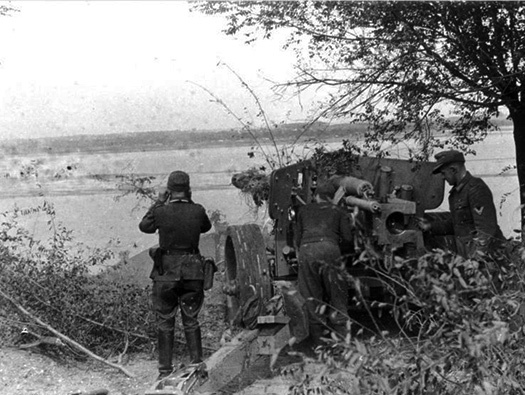 R677 with its 8.8cm Pak 43/41. Sherman DD tanks of 'C' Squadron Sherwood Rangers gave the Dorsets support. 90th Field Regt. RA gave fire support with Sexton 25-pdr guns. This is an 8.8cm Pak 43/41 in Russia and shows haw it would have been placed here in Wn40. We do not know if a gun was in the Wn on D-Day or if it had been damaged in the shelling and bombing and damaged it beyond repair?? There is no mention of this gun being used in the books and Time Team report?? 2 x s.Gr.W. 8cm Mortar. 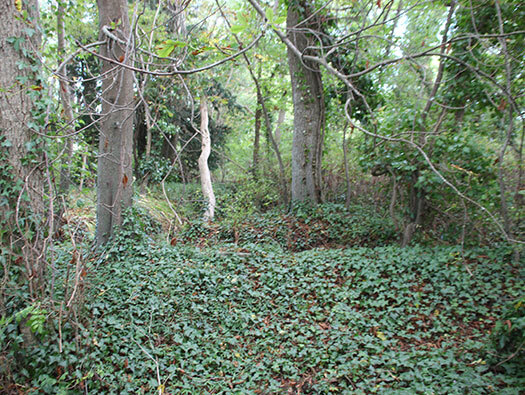 There were two mortars here in open pits like the one in the picture and may have had as many as six or seven men serving it. The Dorsets lost a lot of men almost a third due to casualties from shelling and mortaring. 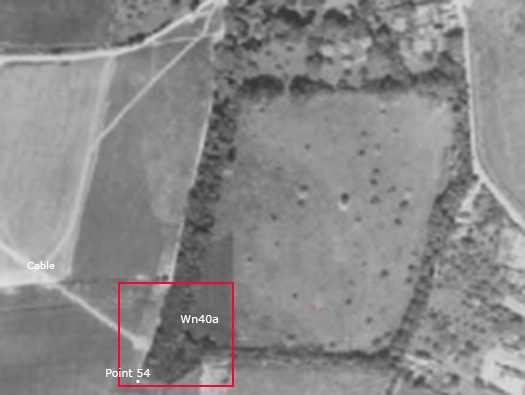 The next attack on Wn40 came in from Wn40b and with the use of tanks of the Sherwood Rangers and artillery fire from the 90 Field Regt. Wn40 was taken and 40 Germans were captured including some artillery spotters for the guns at Wn41 over the hill behind them. Two s.Gr.W. 8cm Mortars and crew. Wn's 40, 40b, 40a & 41. This is all the information that intelligence had gathered by May 1944. 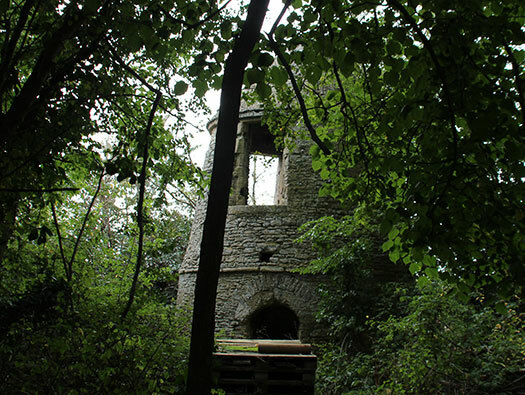 They had not seen anything of Wn40a in the woods only a machine gun position out in the field. And as for Wn40b they do show some machine guns. 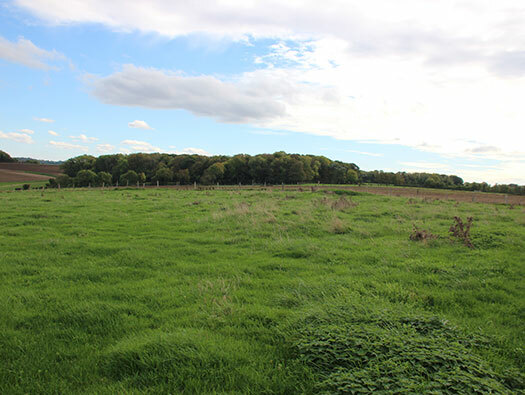 The woodland had been gradually cut down to make anti landing posts on land and in the sea. A veteran said that the woods looked a bit thinner than today. 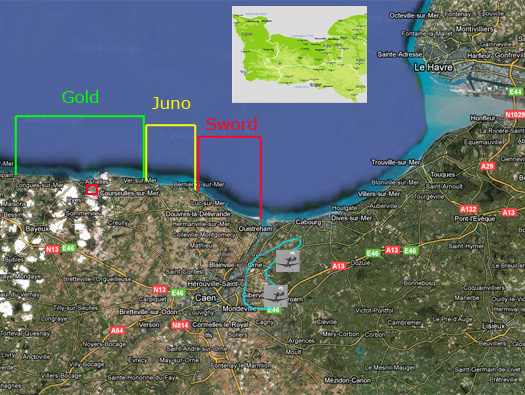 A simplified plan of the Dorsets attack after landing to the East of Wn37. 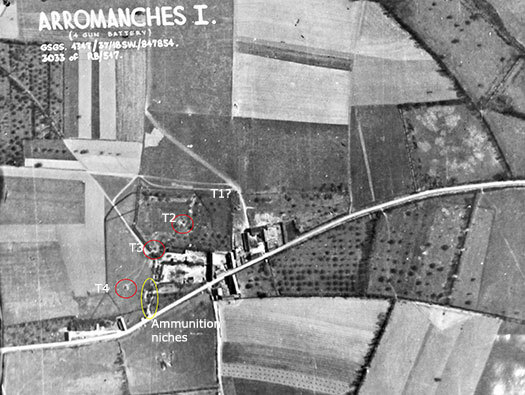 Consolidating at les Roquettes and continued in the attack on Asnelles with the Hampshires. Then moving South towards Buhot. On the way 'D' Company captured a company of Pioneers. 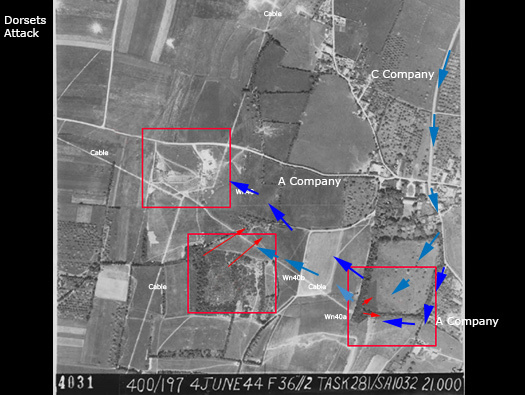 'C' Company (light blue arrows) advanced across the orchard but came under heavy fire and 'A' Company (dark blue) came around the flank and up a track that was covered by an M.G.34. Two Dorsets advanced using 'Fire and Manoeuvre' tactics and overcame the machine gun and crew with a few grenades. 'A' Company then continued its advance on Wn40 with 'D' Company in support. 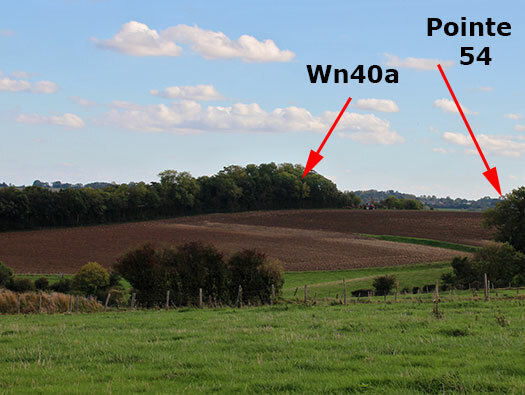 They crossed open ground but came under fire from Wn40a. 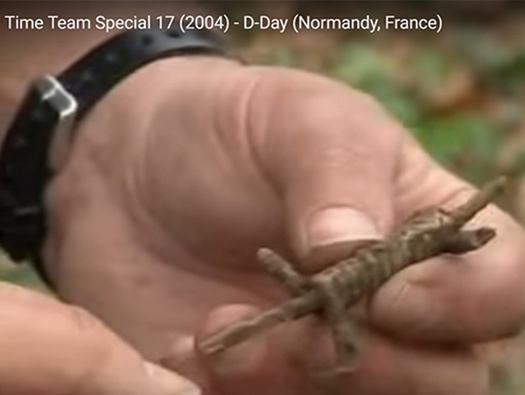 'D' Company attacked the wood and killed and captured the defenders. 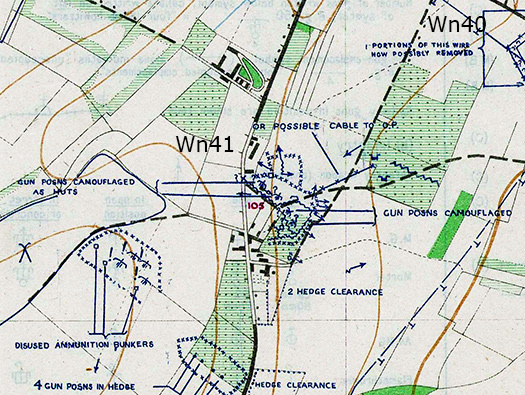 The advance on Wn40 continued and captured at least 40 men. Only then could the advance continue on to Wn41 to the West. Wn41 Ryes - le Petit Fontaine a battery of four Field Howitzers which were horse drawn artillery. 10cm le.F.H.14/19(t) were a horse drawn batterie. Wn41 Ryes - le Petit Fontaine. I have found this picture in WO 205/1108 file of the batterie site. It looks as though the emplacement in the field was Turm1 and as far as I can see T3 & T2 look in place, but I cannot find T1 in the picture. 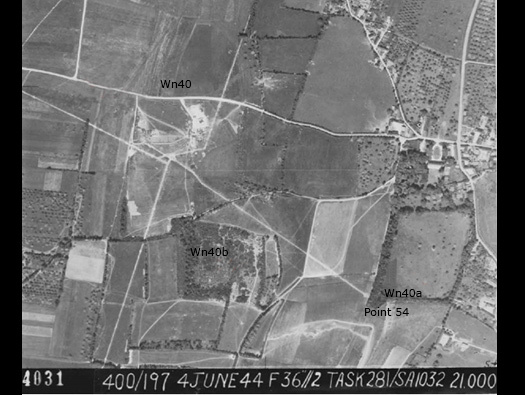 Typhoons attacking ground targets with rockets..
Wn45 and 41 with the cross roads in between is target number 305. A concrete base for a 10cm le.F.H. 14/19(t). There may have been three more of these up in the far field, this one has now disappeared. [Needs investigating] --- we did on the 15 October 2017 and only found a few ammunition niches in the side of a track. 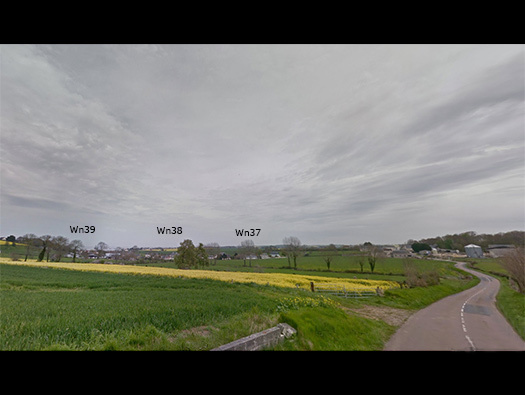 The Dorsetâ€™s put in another attack later on D-Day here but found it empty of troops , leaving their guns and much of their equipment and all the ammunition had been fired off. They had run out of ammunition at 06:00 on D-Day. Artillery are given a 'Load' of shells meaning a certain amount. That is the amount they can fire off before they need re-supply. I believe in Normandy they had 'Two Loads' per Batterie but one load may have been removed(on orders from Artillery command) for safety and held back away from the gun position due to the increased Allied bombing . Re supply would have been easy, either lorried transport or horse drawn carts and could have brought up plenty of shells. But due to the constant fighter and fighter bombers, no ammunition got through to any of the forward batteries on D-Day. 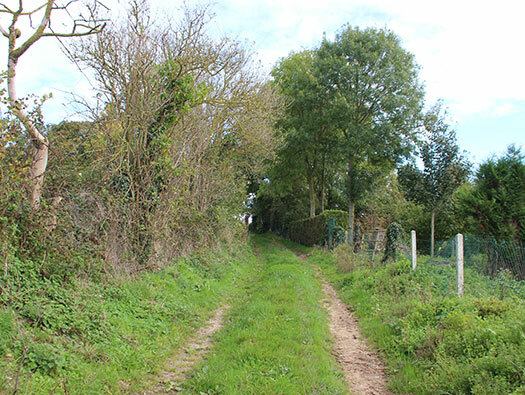 Just past the le Petit Fontaine farm house a track leads up onto the hill and along there are about four ammunition niches. Steel fitting on the top of the ammunition niche. An ammunition niche in use. Time Team Special 17 (2004). Three Assault Landings, Lt-Gen. Bredin. The Keep Military Museum, Dorchester.